The modern spring powered air rifle can deliver high levels of muzzle velocity in countries where the law permits. High powered air rifles deliver a punishing recoil which can shake a riflescope out of zero if the scope mounts are not designed to withstand that recoil. Spring airguns create double recoil requiring a well designed mounting system. 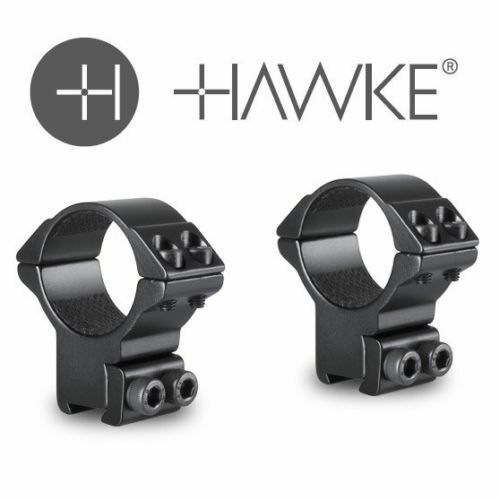 Hawke®MatchMounts feature a recoil stop and cushion tape to prevent damage to the riflescope tube. The double hex screws and precision machined dovetail clamp rail fit snugly onto the rifle dovetail. The dovetail clamp rail is suitable for standard 9-11mm scope rails for both air rifle and rimfire rifle receivers. A stylish scope mounting solution.